SilentKhaos aka Naomi Armano is a 26 year old (DOB: May 31, 1992) part-veela witch living in Hogwarts. 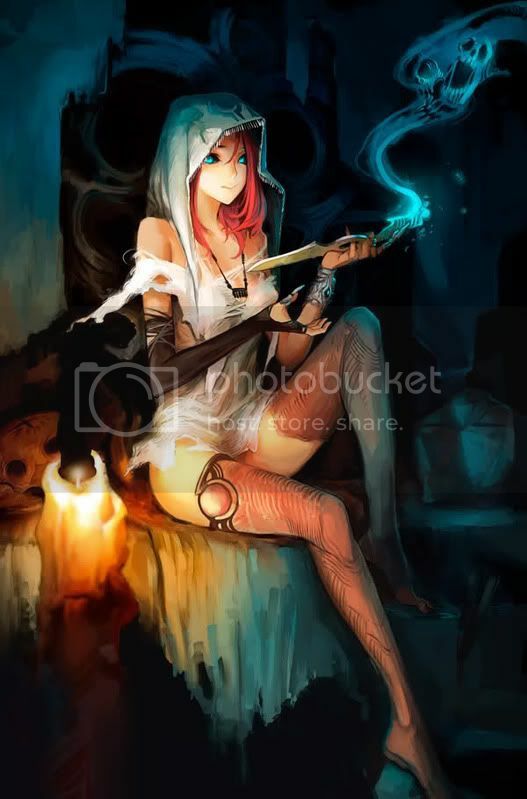 She wields a 14" Cypress, Ashwinder Ash wand, and is a member of the unsorted masses of Hogwarts students just off the train eagerly crowding around the Sorting Hat. Her favorite Harry Potter book is Harry Potter and the Prisoner of Azkaban and her favorite Harry Potter character is Severus Snape. Appearance: A slender hourglass form, pale skin, almond face, and well developed body suggest that Naomi indeed has Veela in her blood. However, fair, strawberry blonde hair, set; drawn back jaw, and piercing hazel eyes suggest her human father was equally attractive. Naomi carries herself with grace and animosity, unusual for a half-breed but then again, she never openly admits her heritage. Personality: Naomi is a rogue and a rebel with a fiery attitude. As a half-breed she's dealt with tons of abuse and torment from both sides and as she matured she's become resilient to insults and isn't beneath fighting over something she doesn't agree with. She rather prefers the use of finesse, manipulation, and seduction to obtains her needs and desires for she has learned that being sweet and tricky works better than being forceful. She is flirtatious, devious, and free-spirited, using vast street-smarts to care for herself and herself alone. She isn't above helping others but only so long as there is something in it for her.